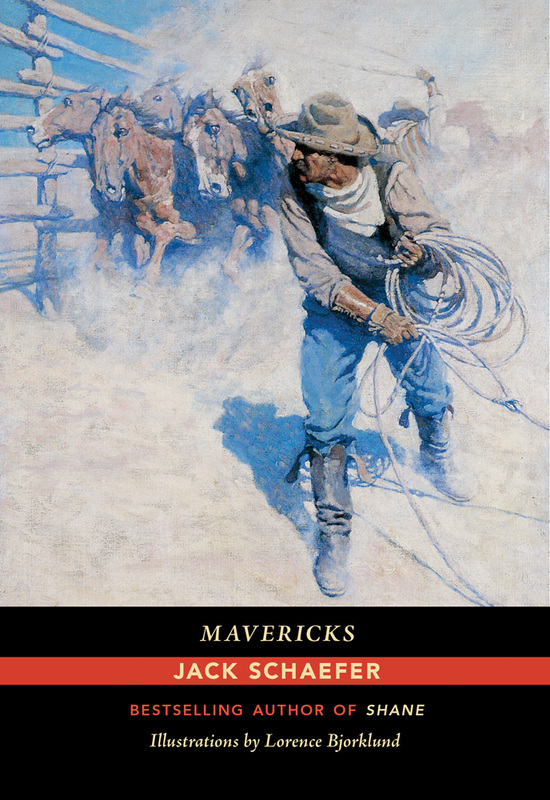 “Old Jake Hanlon sits on the edge of the mesa and looks out over miles of southwestern plain,” starts Jack Schaefer’s all-ages novel Mavericks. Old Jake Hanlon is “ancient and craglike, weathered and withered . . . something like a worn rocky butte himself.” Living in his memories, Hanlon prefers to reflect on his youth, when he lived every cowboy’s dream, rather than think about the old man he has become, now labeled “a decrepit old nuisance” by the folks in town. Ultimately, it is Old Jake’s recollection of the tales of his past—stories of endurance, strength, compassion, and cunning—that helps prepare him for death.